Uncategories Utah Shop Hop Part IV - American Quilting and I'm a winner! 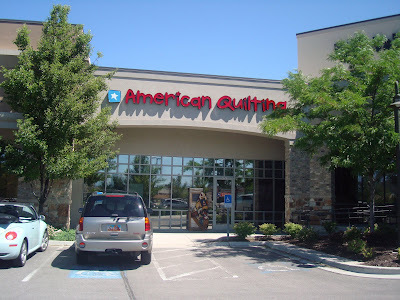 Utah Shop Hop Part IV - American Quilting and I'm a winner! Congratulations on your Shop Hop win!!!!! Enjoy! Have fun dreaming of ways to spend your gift certificate. That shop looks awesome! I love those little quilts displayed like that too...hey, enjoy your winnings! Lucy Girl! And don't you just love those little minnies hanging in a row! oh i really like one of those patterns you won. congrats on the big win. The fish pond ,how fun is that!! I love the 4th of July so that section looked wonderful to me!! 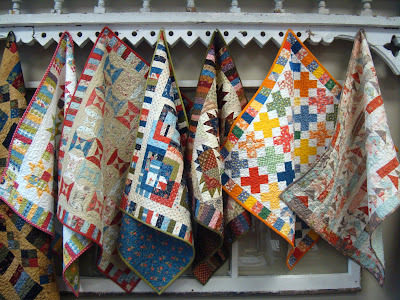 Love the mini quilts, super cute. Now Congrats. on your win, that is a lot of $$$ for fabric, very fun!!!! Wow great prize. Can't wait to see your fabric. Yay! I'm so glad you made it. ;) And you scored! I can't think of anyone more deserving than you, Nanette. Thanks for sharing the hopping! I love the display of the minis! I love the Christmas tree skirt. Congratulations on your prizes. 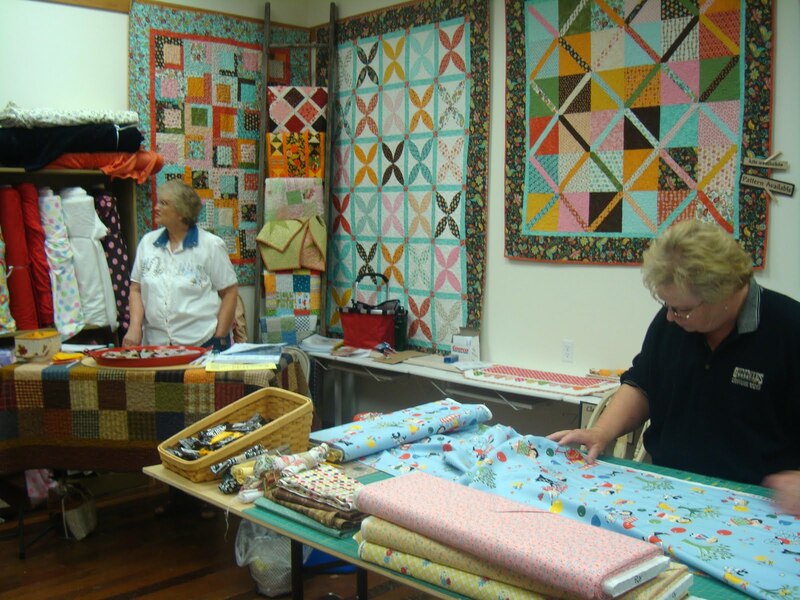 I know you will buy fabulous fabrics with that $100.00. Enjoy! Oooh, how exciting! Whenever I get gift certificates, I always get analysis paralysis, so I hope that doesn't happen to you. 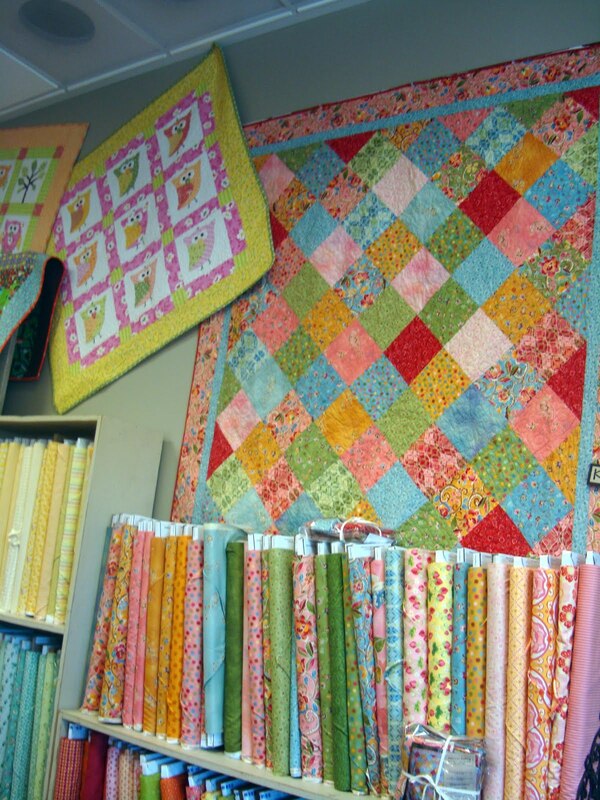 Can't wait to see your fabric. And...did you say Big Hunk??? Those are the BEST!!! I LOVE them and I always buy multiples on the rare occasions that I find them -- just for hoarding LOL! 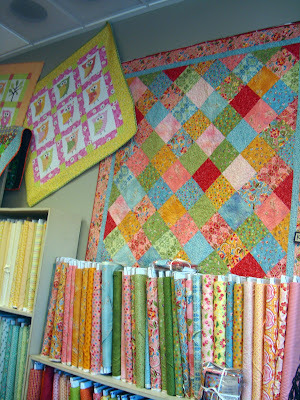 Oh,this shop is a quilter's dream! 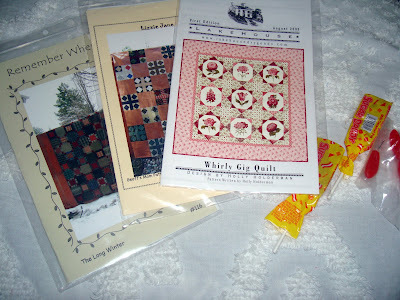 Congratulations on the Shop Hop win and the patterns. That is super exciting! YAY!! Loved your Shop Hop tour.....I want to go!! I had a great time "hopping" along virtually with you! 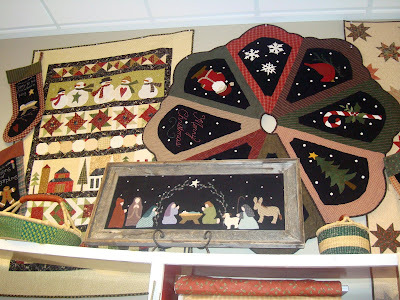 Lots of eye candy and things to dream about! I am glad you won! Wow....what a win(s)!!! The eye candy was so much fun to see. Congrats on your win!!!! That is AWESOME!!!! 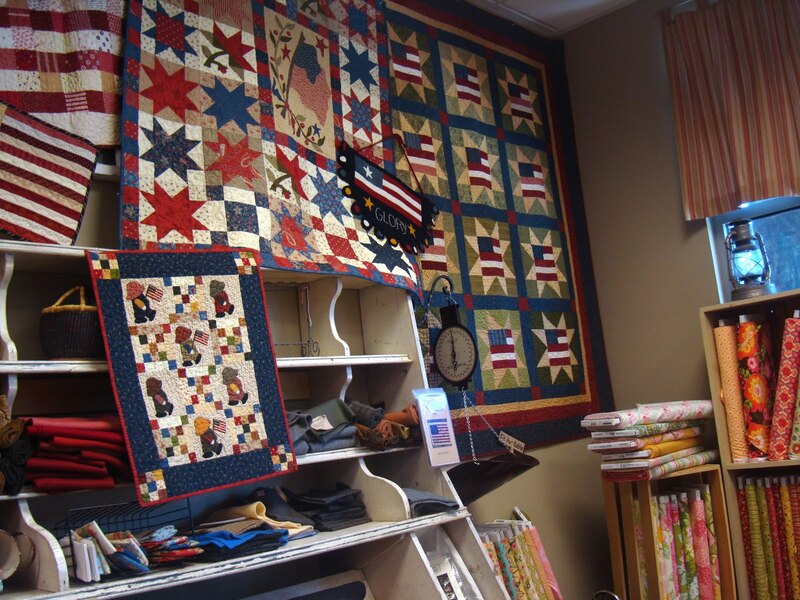 Love the tour of American Quilting. I would love to meet Amy but alas I have bad timing and she is never in when I stop by. Congrats on your win! That's a big one. You are going to have so much fun shopping for fabric. Ooooh the pressure of fabric shopping while husband and son are waiting. 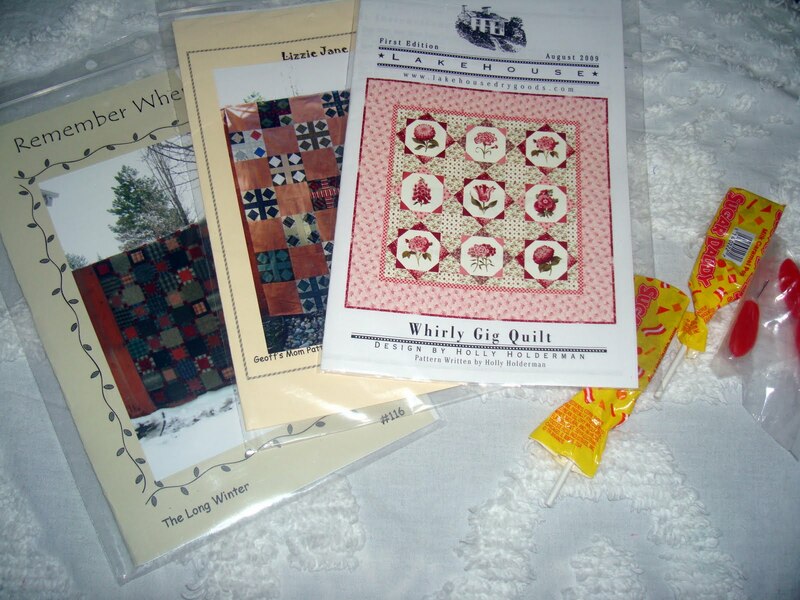 But it sounds like it worked out well with new fabrics and wins. 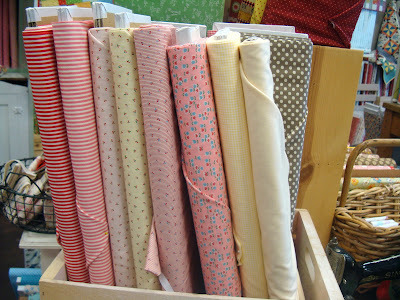 I love seeing blog posts of where some of us shop for fabric - thanks! Congrats Nanette...I know you'll put this to good use! 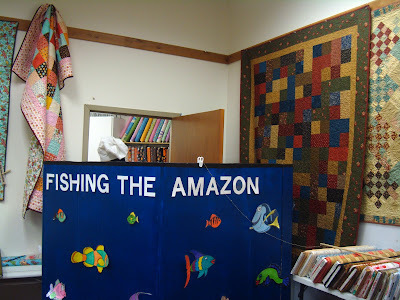 Go shopping soon so we can see what you find! Wow! I got so carried away I forgot to mention that I adore the minis, thank you for sharing. 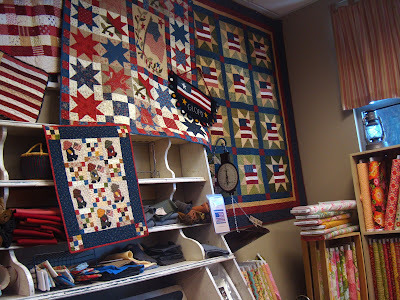 LOVE the Americana display and those little mini quilts. I may have to copy that too in my home. It's tooo cute. Congratulations Nanette,on your Shop Hop win! Wow $100 cerificate,is a great prize to win while having fun at the same time..
congratulations Nanette! that's an awesome win! 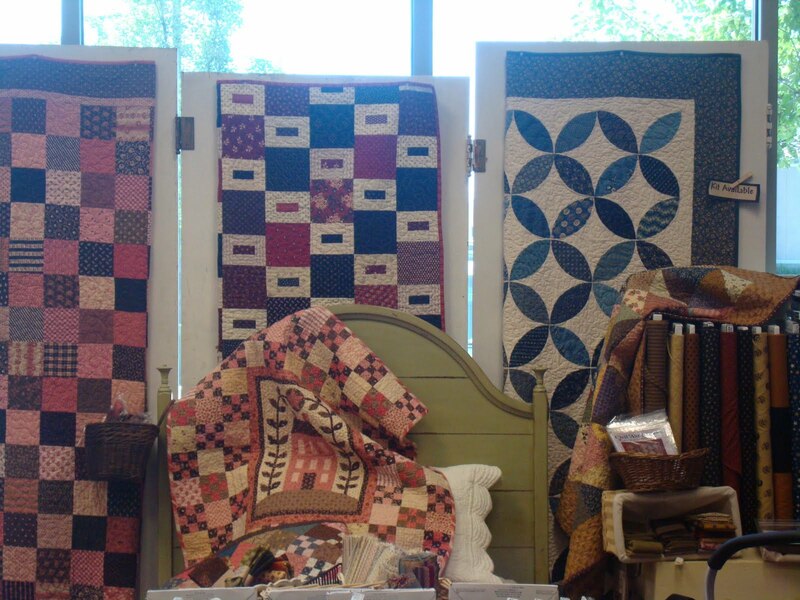 and I agree, that mini quilt display is so cute! Fun shop and shop hop... congrats on catching your limit! That is such a fun idea, I'm going to have to share that with my LQS. Especially since we live near a lake. Love the Schnibbles display... wish I had been there.